When I first began writing the Hubris campaign setting using the DCC rules, the first things I posted for people to read was my races and classes (all can be viewed on the links page). One of the races was the Kenku. 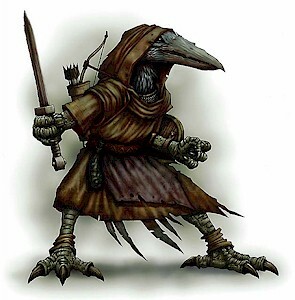 I’ve dug many aspects of the Kenku (or Tengu– Pathfinder) since I started playin 3.x when it first came out. 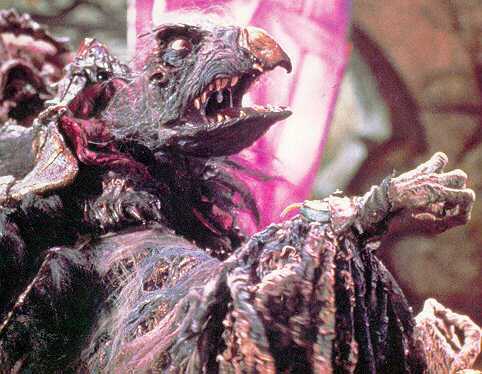 When I envisioned the Hubris Kenku, I saw tricksters, schemers, etc- much like the Skeksis of the Dark Crystal (amazing movie, btw). When I originally designed the Kenku I gave them a limited pick of DCC Thief class skills and a very limited scope in illusion magic. However thanks to feedback from a few comments and the amazing Harley Stroh (his blog) and Chuck Thorin (his blog) for their invaluable feedback. Especially since Chuck playtested one for me and died horribly. Also thanks to Chuck for coming up with the Magpie idea! I changed the name of the Kenku to Avarian because of copyright reasons. And it doesn’t hurt to separate oneself from Dungeons and Dragons by one degree. You are an Avarian; an enigmatic and elusive humanoid that closely resembles a crow or raven, ranging 4’5” to 5’5” in height. Your culture is bizarre to outsiders, as your race tends to be secretive and exhibit a magpie mentality for hording items and mementos- even if they may seem like junk to others. Many of the other races tend to distrust you since they are consummate tricksters. Some avarians have a natural ability to cast illusion spells, while others have a bizarre ability to cause others to become unlucky, and they delve into crime and use their various skills as spies, thieves, or assassins. Hit Points: An avarian gains 1d6 HP per level. Weapon Training: An avarian is trained in the use of blackjack, bolas*, crossbow, dagger, dart, hand crossbow*, shortbow, short sword, and sickle*. Avarian tend to wear light or no armor as it impedes their ability to cast spells and fly. Alignment: The avarian race is split with a strange duality. Those that seek to preserve the traditions of their culture and bring the reputation of the avarian race to a better light are lawful, while those who seek constant gain, trinkets, or are shisters tend to be chaotic. It is extremely rare to find an avarian who is neutral. Flight: The arms of an avarian are also his wings. An avarian can flight at a rate of 30ft per round. While flying an avarian cannot attack or cast spells. An avarian cannot fly if they are wearing any armor other than padded, or having an abundance of items and weapons, or large weapons. Use common sense- ultimately it is the Judge’s call. Low-Light Vision: An avarian can see in near dark conditions normally up to 30’. Magpie– Avarians collect things that others find useless or mundane; it’s a compulsion. An avarian can make a Luck roll to see if they have some “useful” mundane item hiding in their pockets. The item could be a hairpin, a few coins, a shiny button, an ancient skeleton key, etc. The idea should be fun and clever to the situation. The Judge has final arbitration. Transformation: Once a day an avarian is able to transform into a human form (this human form shows all scars, corruption, and deformities that the avarian has obtained through their rough and tumble journey). This transformation is truly horrible to witness as bones jut out and pus, strange clear liquids and blood spew forth from the body. Any target that witnesses this transformation must make a DC 12 Fort save or become nauseated, suffering -2 to all rolls for 1d6 rounds. The transformation lasts as long as the avarian desires, and takes 1 turn to transform or revert back to normal. Paths of the Avarian: Choose one at Level 1. 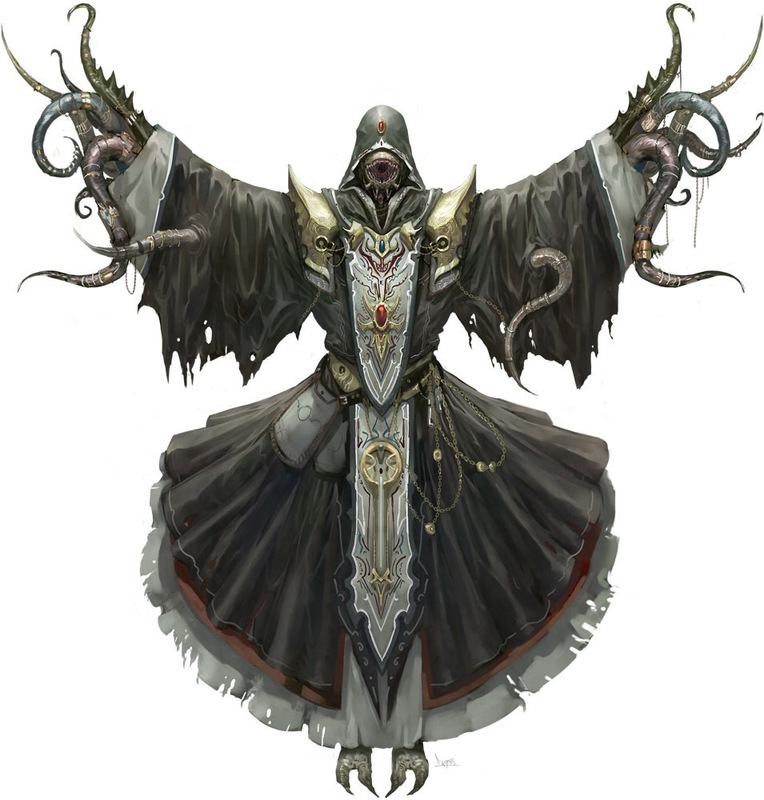 Illusionist– Avarians have the ability to manipulate arcane magic and cast a limited number of spells that deal with illusions or compulsions (see available list below). An avarian uses the normal rules for casting arcane spells (including spellburn), and can suffer any and all of the negative effects associated with dabbling in magic. When an avarian gains the ability to cast another spell they roll randomly from their available spell list (see Table X-X for spells known and max spell level. Spells available to Avarian below). Roguish– An avarian selects six Thief skills at first level and levels them up as a thief of same alignment. An avarian can burn their luck as per normal and gain a modifier on their rolls equal to the amount burned. An avarian can burn a point of luck to make another target unlucky. The target must be within 30’ of the avarian and gets a Will save (DC 10 + avarian’s level) if successful the target cannot be affected by this again for 24 hours. If the Will save fails the target has been jinxed and must roll their next 1d3 attack, save, or skill checks twice and take the lower of the two. If they critically fail their Will save, they permanently lose 1 Luck as well as suffer the effects stated above. An avarian recovers Luck quicker than the other races. With a full night of rest an avarian recovers 1d3 Luck points back. They cannot go above their maximum score. Mocking Bird– An avarian is able to sound like any creature that they have heard in the past (Judge has final say). Sneaky avarians use this ability to lure a mark into a dark alley, or to distract a guard. The avarian makes an ability check (d20+ Luck modifier + level), which serves as the DC for the Will save the target(s) hearing the noise must roll to know that the sound is not genuine. * Even though this is a cleric spell, this innate ability to cast magic means that the avarian does not suffer any modifiers for casting this spell. This entry was posted on Wednesday, March 5th, 2014 at 6:39 am	and posted in Dungeon Crawl Classics, Hubris Campaign Setting, Old School Role-playing, Other Systems, Role-playing. You can follow any responses to this entry through the RSS 2.0 feed.